Short and bittersweet this week. It may feel like the height of Summer but Fall will be here before you know it. I have a new piece up on Disability Horizons all about making the most of your closet space and seasonal wardrobe called Taking Stock of Your Wardrobe. As with most of what I write the advice is not exclusive to people with disabilities. I'm also guest-blogging for IZ Collection about Fashion is for Every Body. IZ Collection is an adaptive clothing company based in Canada. I'm excited to say I'll be working with them on occasion in the future. 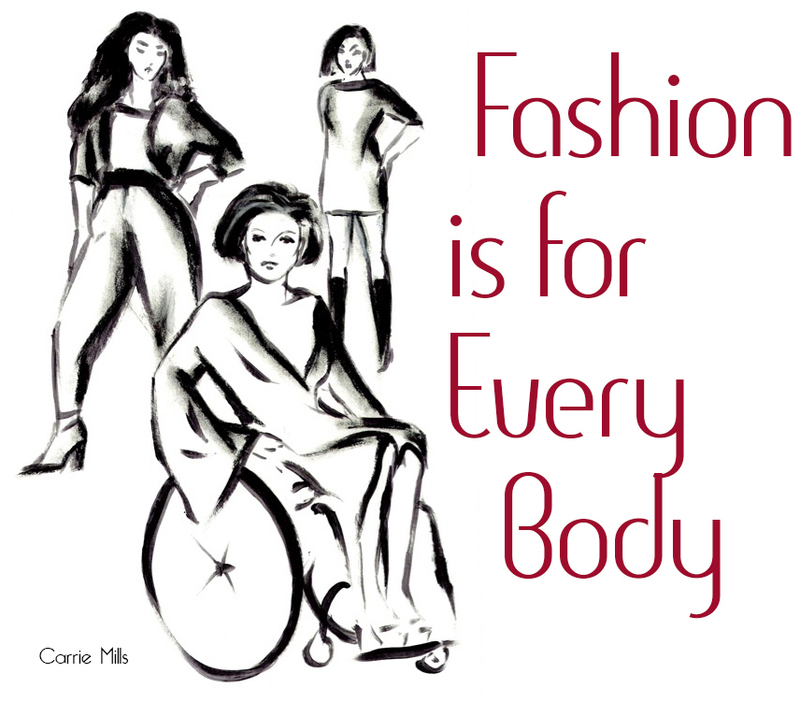 Speaking of Fashion is for Everybody, posters and T-Shirts are still on sale on the website. Tees are also available locally at Couture for a Cause. Tickets for the show go on sale in just two weeks on August 1st! As if that wasn't enough, Spashionista has been nominated for Best Blog by the Tennessean's 2016 TOAST Reader's Choice Awards. Voting is open until July 24th, and you'll find my category in the People and Places section. You do have to register with the site to vote, but you don't have to live in Tennessee to do so. Pretty sweet stuff, huh? Now for the bitter pill. I rarely get personal here but I'm in need of real help from my friends - especially my Nashville friends. A few nights ago, while we were out celebrating our friend's birthday, something terrible happened. One of our neighbors decided it was appropriate to set off a bunch of fireworks in their driveway without giving those of us that own animals that are afraid of them any notice. Consequently, Penny Lane (who you may remember as Rhoda, the dog we helped rescue and foster before eventually adopting her), who is terrified of loud noises, was so traumatized she escaped the confines of our fence and bolted. We've been searching for her ever since. If you live in Nashville, Pegram or Ashland City, or know anyone who does, please share this information with them. We live in a very rural area and our searches though the woods have been to no avail. Our last hope is for someone to spot her and contact us. We want our girl back. Her brother, Jack, is missing her terribly, too. I know the power of Social Media is our last hope. Prove me right.